Parents dreamed their daughter to become a doctor. 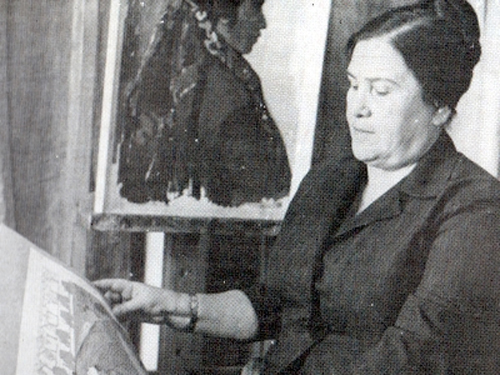 Evgenia entered the medical institute, but having studied for three years, she left it for Art School. 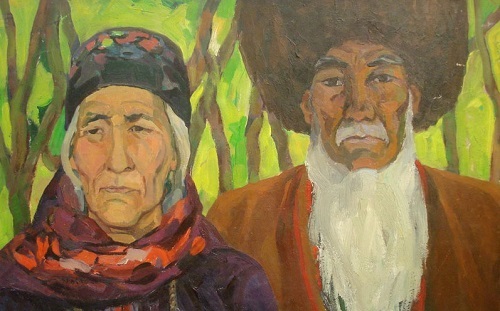 The school was famous for the wonderful teachers and artists such as Byashim Nurali, Mikhail and Yulia Daneshvar, Ivan Cherinko, Sergei Beglyarov, AI Hvorostenko, who made great efforts for the development of the Turkmen national culture and raise a generation of talented artists. 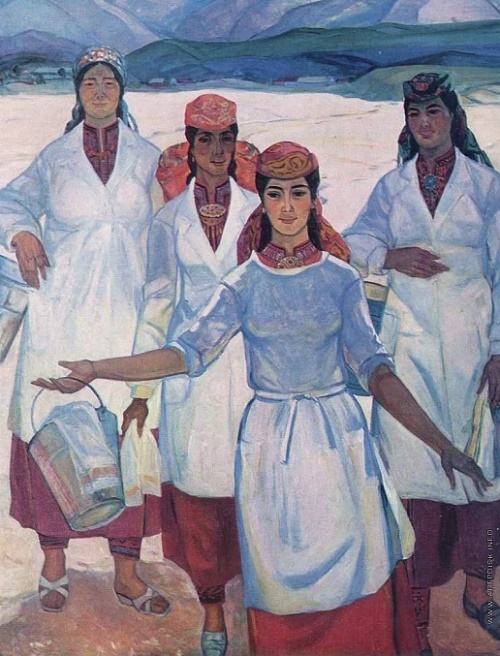 The decisive role in the formation of the artist played a well-known Soviet artist Ivan Cherinko – a teacher, a great friend and later her husband. According to her, Ivan just charged her with energy. He was sensitive and with great tact could indicate flaws. Cherinko remained in the memory as a man of great, wide soul, kind and strict judge, a friend and comrade. 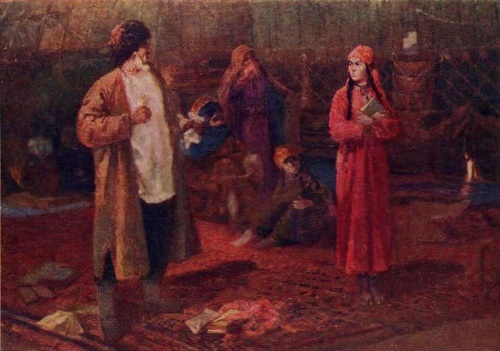 Painting “Nevertheless, I will study” entered the textbooks as an illustration of a period in history. This brave girl stands in front of an angry father, clutching the book and notebooks. The astonished by her actions – family members. We must remember that for thousands of years in this region the woman followed slave rules of obedience. And here in the picture, they are destroyed in a moment desire. Native daughter rebels against her father for the sake of knowledge of the world. In anger, the parent snatched out of her hand and books scattered in the tent, but the face and the girl pose, hugging her book, says she will not back down. In a special way the artist decided the theme of war. 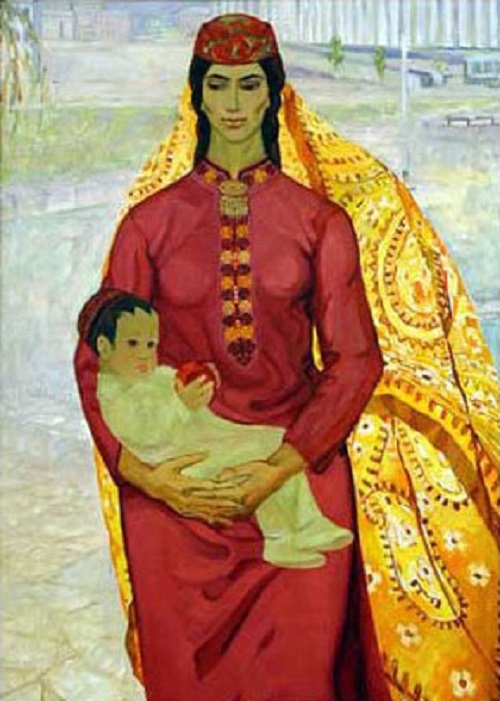 Her painting “Turkmen mothers to Motherland” brought her the title of laureate of the State Prize named after Makhtumkuli. The painting says about the labor feat of the people in the Great Patriotic War. 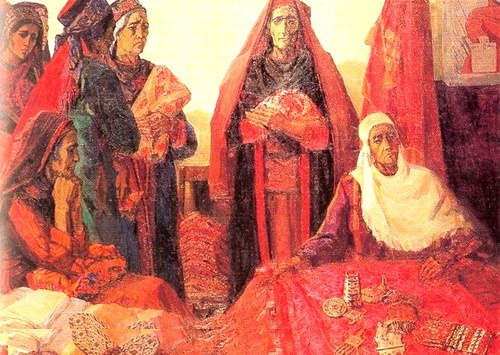 Turkmen women gave out seven tons of silver to the country’s defense fund. 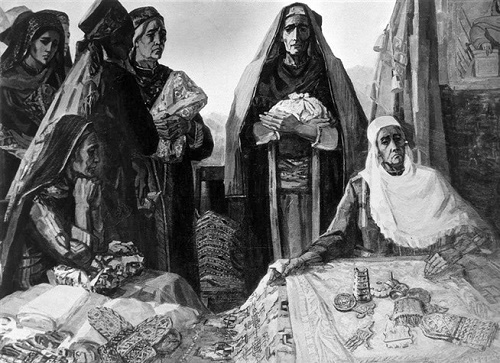 In addition to valuable jewelry, they gave heirlooms, carpets and warm clothes for the front. It was all they could give to win.